Click here to view the 2018-19 game roster. Coach Jayme Wyss graduated from Clear Lake High School, where she ran track and was an all-conference volleyball player. She attended Concordia University in St. Paul, Minn., where she competed in track and field and broke the women's indoor and outdoor pole vault school records. During college, she also provisionally qualified for the 2010 Indoor & Outdoor NCAA DII National Championships. 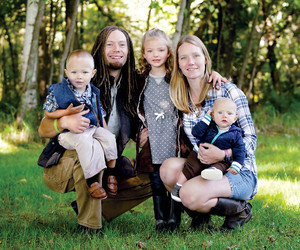 After college, Wyss and her husband, Andy, moved to Wausau, where they coached track and field for three years. At that time, Wyss also coached volleyball. In 2013, the couple moved to Three Lakes. Coach Wyss took over as the head volleyball coach, and she has been at the helm every since. Under her leadership, the varsity team has improved its conference standing and/or conference record each year. In 2017, the team placed second in conference. The team also made its first appearance in 20 years at a regional final game. "The culture has been changing at Three Lakes, and our programs have been on an upswing," she said. "I believe we are on the edge of big things that are yet to come."